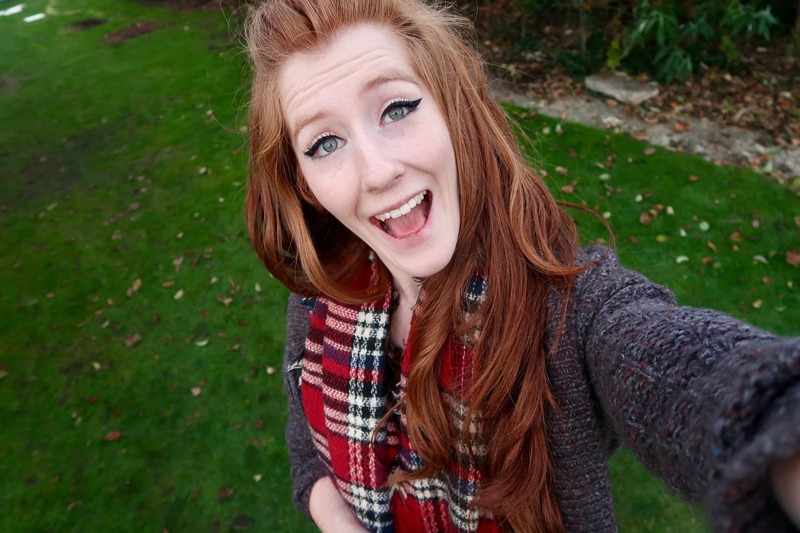 So.. 2015 has been an INSANE year for me, and especially this blog. I can only thank you all on here, but I wish I could hug you all for helping me get this far so quickly. I never thought in a million years that I would get this far in a year, and my mind is truly blown. Beyond belief. 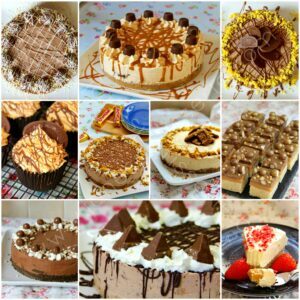 In to little cakey pieces of WOW. 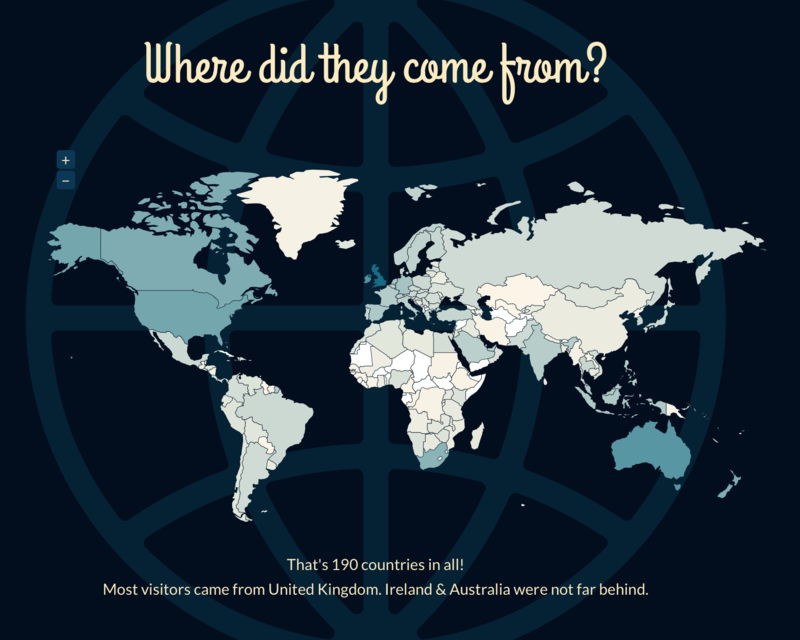 Whether you see my blog from WordPress.com, or Facebook, Instagram, Pinterest etc I really don’t mind.. it amazes me that 190 countries have looked at my blog this year and you are all the BEST. Picture & statistics from my wordpress.com blog review! Firstly, I have to obviously mention this little beauty.. my No-Bake Caramel Rolo Cheesecake. 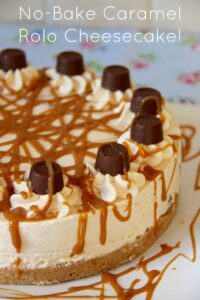 You might not believe it.. but I made this recipe up on the spot one day as I had some ingredients to use up, I didn’t have the chocolate I needed to make a Chocolatey Cheesecake.. and I just made this up as I went along! I had NO idea that it would be the one to go crazy! I have never been so chuffed with myself! 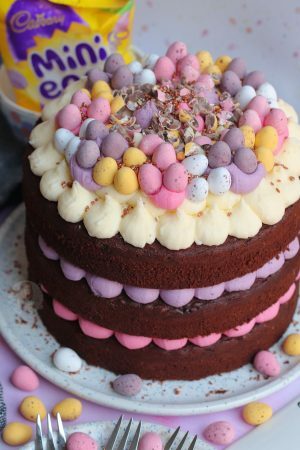 The comments you guys make about this scrummy dessert is so lovely, and I am so glad that so many of you have enjoyed it over the time its been up! 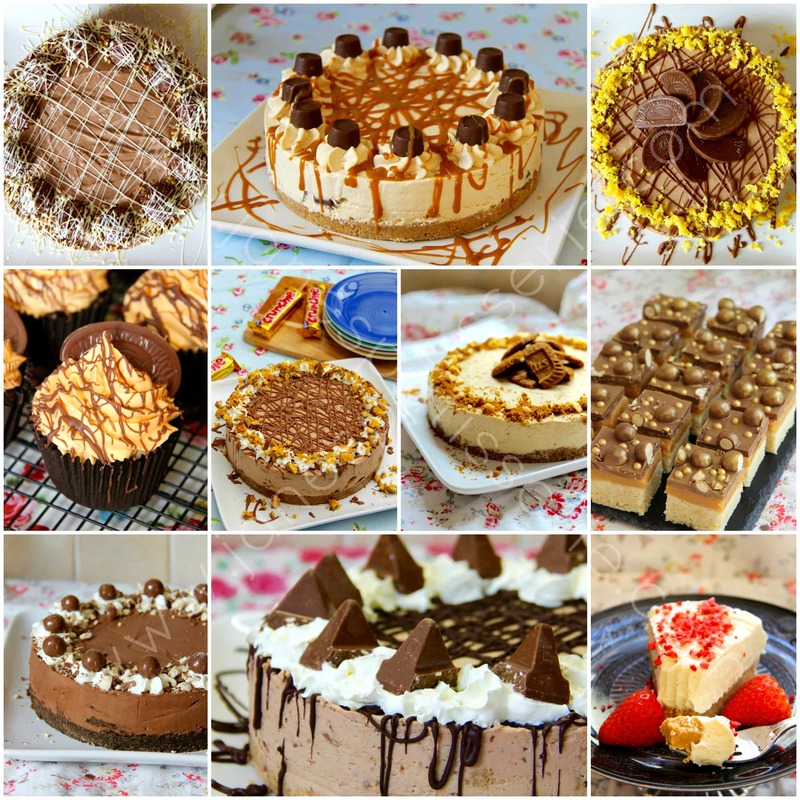 I think the fact that 8/10 of my top 10 Recipes on my blog are Cheesecakes says that you like my recipes quite a bit!! 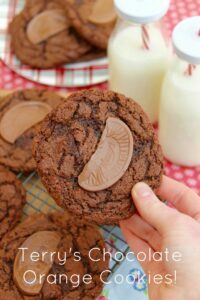 My Chocolate Orange Cookies have also been one of the biggest hits on my blog this year, and I am not surprised. 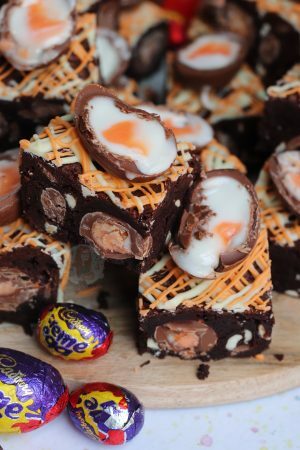 I would happily eat the whole batch myself and not even feel guilty for it! They are gooey, crunchy, soft, chewy and the perfect amount of yum in a cookie. I genuinely never thought that having such a consistent and delicious cookie recipe was possible.. but it really is!! 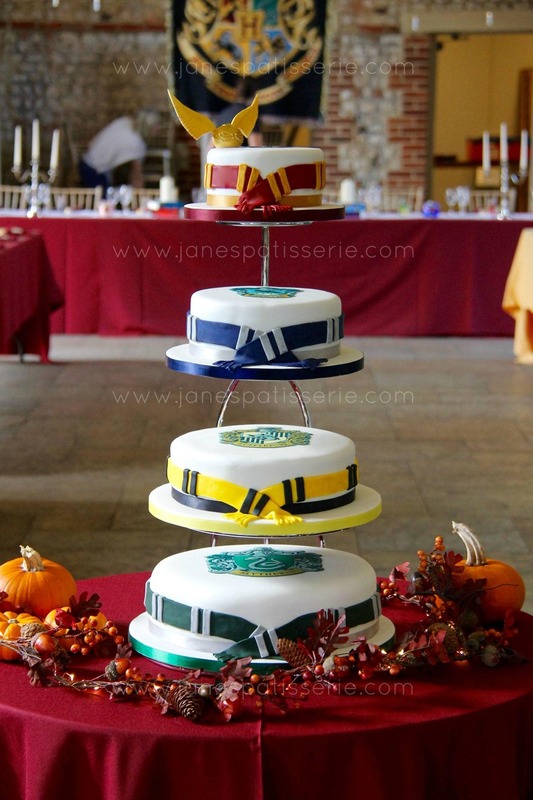 One of my most favourite Highlights of my 2015 was making my Friends Mum’s wedding cake.. the fact that I was chosen to help complete a Bride & Grooms special day was amazing enough, but the wedding was Harry Potter themed… so I literally cried I was so happy. 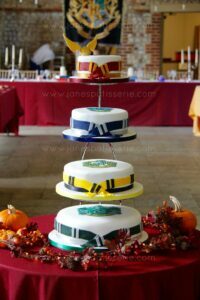 My post about my Harry Potter Wedding Cake has actually had an amazing amount of hits considering its not a recipe – it just shows more details of the absolutely GORGEOUS wedding up close (which as perfect by the way) and I know you are all HP lovers on the inside! 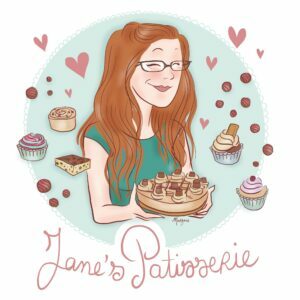 I must also give a massive thank you to Morgane Carlier for illustrating my blog’s logo for me. I had seen a couple of her illustrations floating around before I had even realised who she was, and when she produced this logo for me I was so ecstatic! Everyone I know personally who has seen it says it is perfect for me… The hair, the glasses, and the fact that I am holding my No-Bake Caramel Rolo Cheesecake in the logo says it all really! You must check her work out! 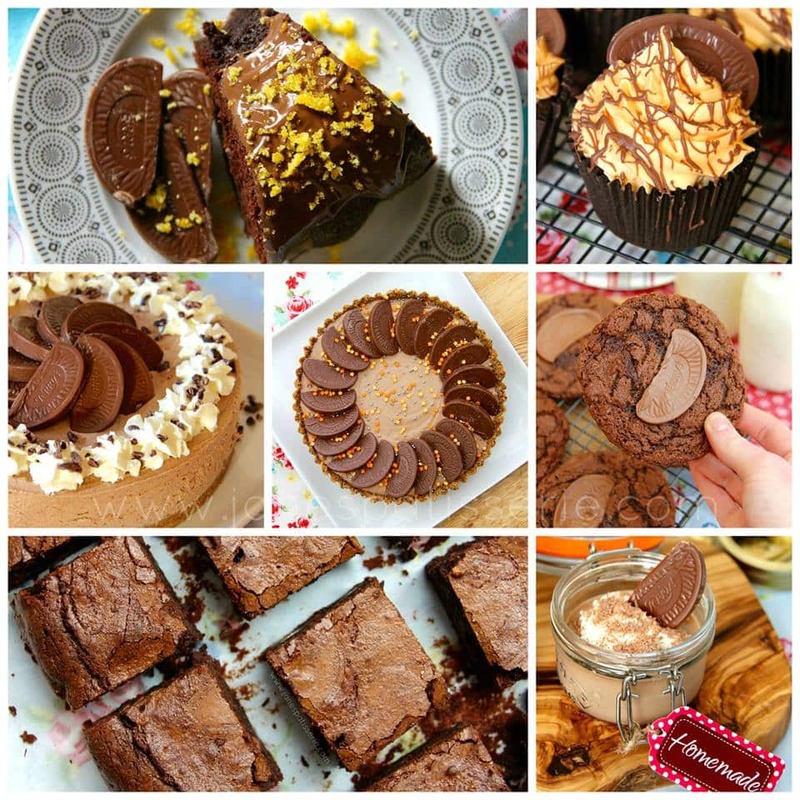 You can check out some of my other delicious recipes on my recipes page – HERE. I have many plans for this New Year.. Personally and Professionally. I want to get a puppy personally.. and I want to make this Blog my Career. 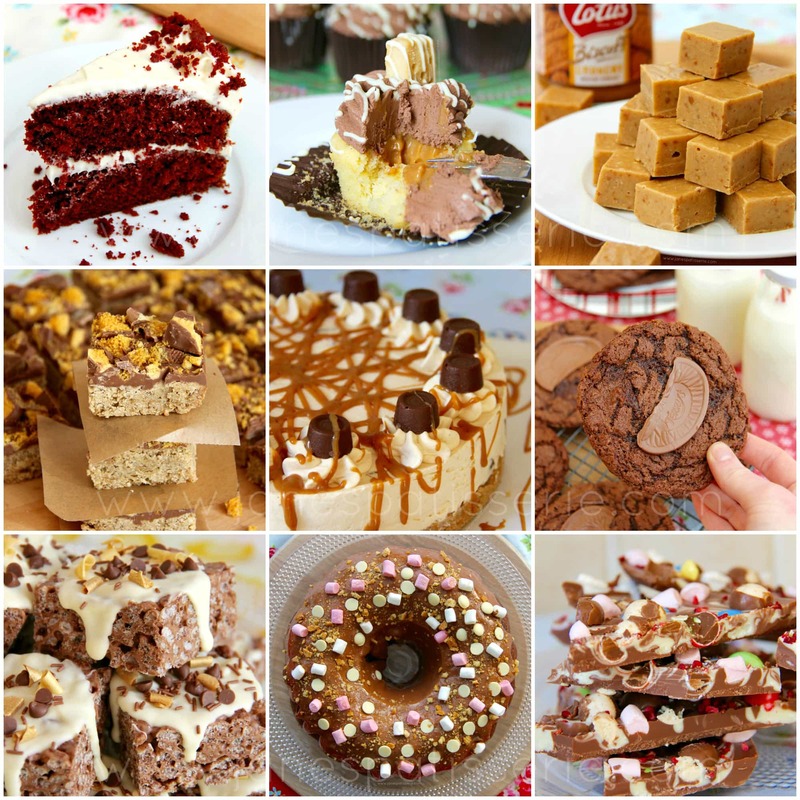 I have many recipes planned, some new cool things to help you guys with my recipes… and a recipe book. I like to think that some of you at least would buy my book – as its the next step in making this blog my Career! 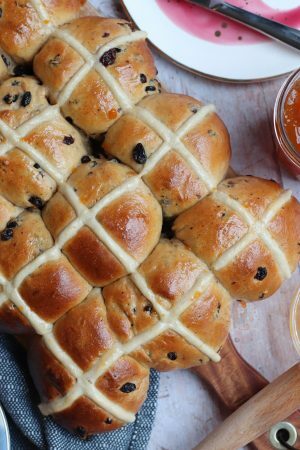 Thank you for reading, commenting, liking, sharing, and more importantly baking my recipes. Older Next post: Bailey’s Cupcakes! Newer Previous post: Mint Oreo Brownies! You deserve it! I cannot get enough of your delicious recipes! With that many visitors you would definitely sell a recipe book. You should put a proposal together and approach literary agents (if you haven’t done so already) – I have no doubt you would get snapped up in minutes! Congratulations and I’m sure 2016 will be even better. 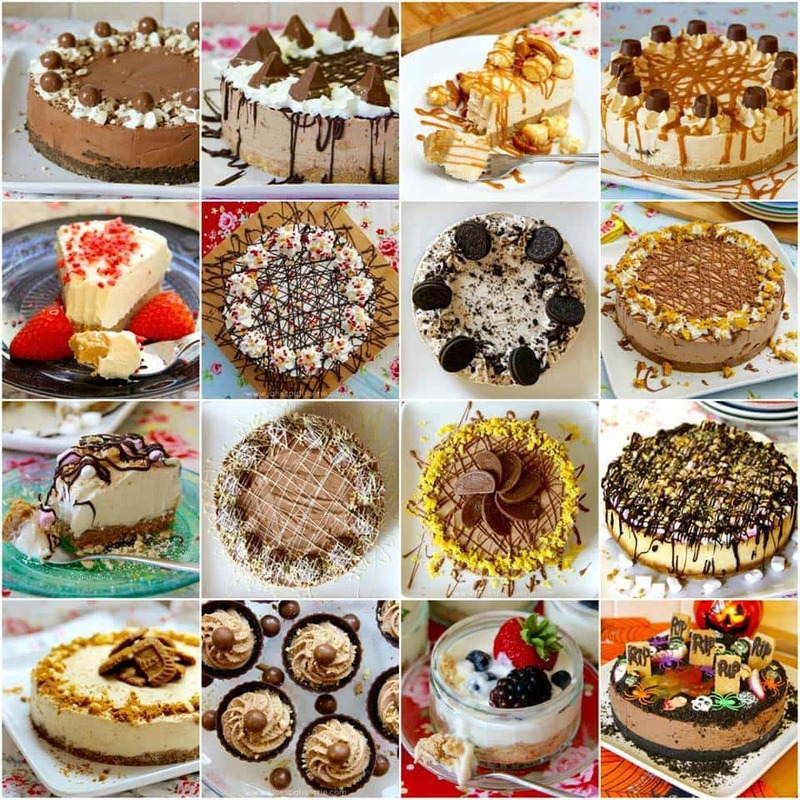 Hahaha yes definitely the cheesecakes! And I’ve been thinking that, but I don’t know what to do or how to approach them! ? thank you!! Over a million views in a year is fantastic Jane! You’re an inspiration 🙂 very excited about your recipe book, you’ve sold one already!